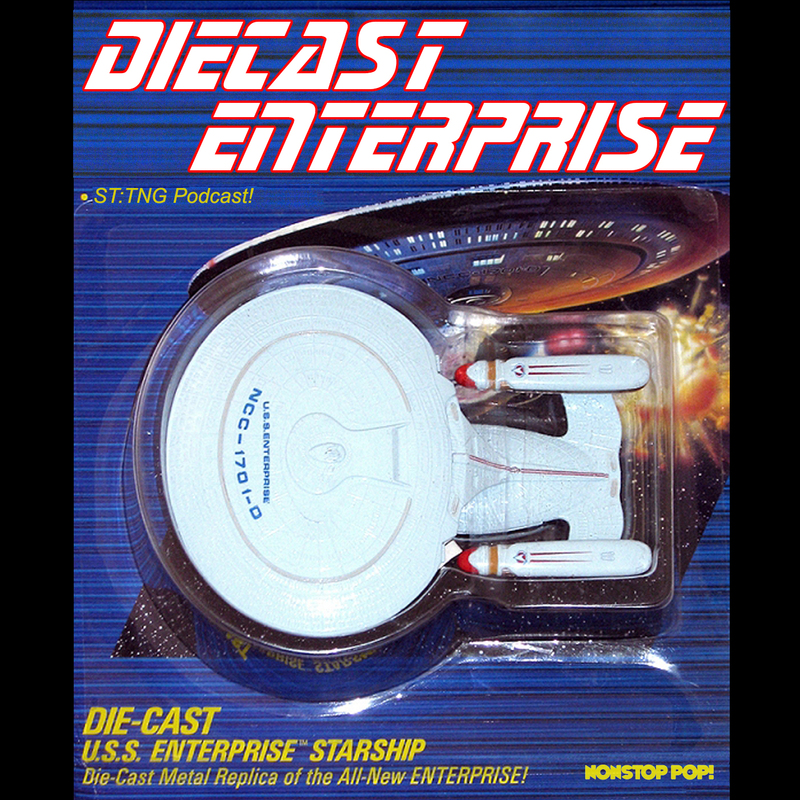 Diecast Enterprise – By Nonstop Pop! Away Missions Episode 3 – Riddle me this! Away Missions – Episode 3 – Riddle me this! 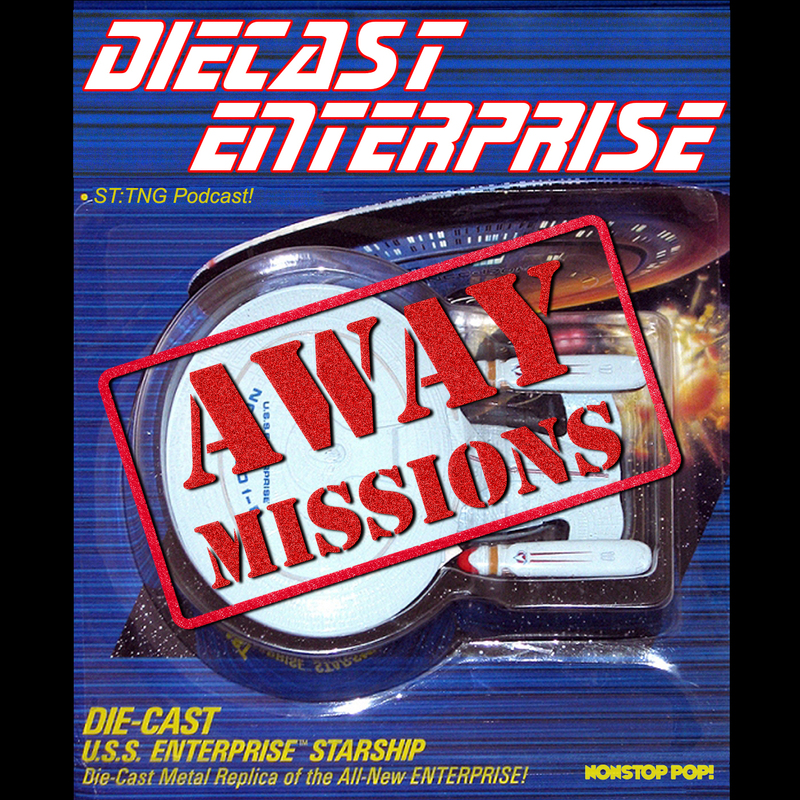 Away Missions Episode 2 – Yo Joe! S01E01 – In which we discuss Encounter at Farpoint. S01E02 – In which we discuss The Naked Now. S01E03 – In which we discuss Code of Honor. S01E04 – In which we discuss The Last Outpost. S01E05 – In which we discuss Where No One Has Gone Before. S01E06 – In which we discuss Lonely Among Us. S01E07 – In which we discuss Justice. S01E08 – In which we discuss The Battle. S01E09 – In which we discuss Hide and Q.
S01E10 – In which we discuss Haven. S01E11 – In which we discuss The Big Goodbye. S01E12 – In which we discuss Datalore. S01E13 – In which we discuss Angel One. S01E17 – In which we discuss Home Soil. S01E18 – In which we discuss Coming of Age. S01E19 – In which we discuss Heart of Glory. S01E20 – In which we discuss The Arsenal of Freedom. S01E21 – In which we discus Symbiosis. S01E22 – In which we discuss Skin of Evil. S01E23 – In which we discuss We’ll always have Paris. S01E24 – In which we discuss Conspiracy. S01E25 – In which we discuss The Neutral Zone. S02E01 – In which we discuss The Child. S02E02 – In which we discuss Where Silence Has Lease. S02E04 – In which we discuss The Outrageous Okona.